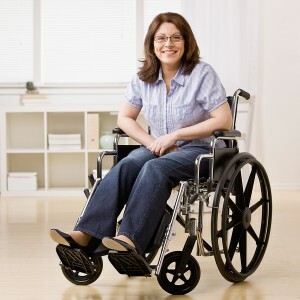 Because there are many more disabled women attending colleges than in the past, many might be interested in the scholarships specifically designed for them, as well other scholarships for all disabled students, men and women. Such students may be in a more difficult financial situation than other students. That is in large part because of the expensive medical costs they face every day. In addition to the specific scholarships for disabled women and all disabled students, disabled women can also receive help from the standard scholarships that are for all students. The Ethel Louise Armstrong Foundation provides scholarships only for female students. Such students must be enrolled in a university or college in the United States. Those awarding the money aim to be objective and to not discriminate. The amount awarded can be between $500 to $2,000 per year. Be involved in a national, local, or state disability organization. Such involvement can be through electronic means or in person. Any organization a student chooses to be involved with must provide advocacy or other services for those who have disabilities. Considering that the student will be an ELA Scholar, she will have to work with alumni and current scholarship recipients and the ELA Board of Directors. This involvement will provide benefits for the program among politicians and professionals in society. The applicant will have to update the ELA annually with a letter, describing the progress she makes in her working and academic career. Those interested in applying should apply before June 1st each year at 5 p.m. A completed application should be mailed in one envelope to the ELA Foundation office at 2460 North Lake Ave. PMB #128, Altadena, CA 91001. While the Anne Ford Scholarship is for all disabled students, women and minorities are especially encouraged to apply. Only United States citizens are eligible. The program is administered by the National Center for Learning Disabilities, Incorporated (NCLD). Applicants should be students who have a learning disability and be attending private or public secondary schools. They should have already demonstrated a high aptitude. They must have a grade point average of 3.0 or more and must be seeking a bachelor’s degree. They must provide documentation of their disability. When considering whether qualifications have been met, the NCLD will consider financial need. Those most likely to receive a scholarship will be students with a learning disability who have strong college degree career goals. They must have persevered, be willing to take on new opportunities, and have a perspective that has been shaped by their experience through their education, society, friends and family. While they must know how their learning disability affects their lives, they must be able to be advocates for themselves, and want to contribute to society to help all people increase their opportunity who also have learning disabilities. In addition, they must be content to be role models for others with learning disorders. The documents which will need to be provided include a financial statement, a personal statement, an application form, three letters of recommendation, high school transcripts, proof of a learning disorder, and test scores. Information may be obtained from the National Center for Learning Disabilities at: 381 Park Avenue South, Suite 1401, New York, NY 10016. The phone numbers are: 212-545-7510, Fax: 212-545-9665, Toll-free: 888-575-7373. The deadline for applying each year is December 31. Awards for the 2011-2012 school year will be announced by mid-April. Information may also be obtained at ncld.org. This scholarship is given once a year to a high school graduate who has a proven learning disability. A total of $2,500 is awarded for someone enrolled in a technical training program, vocational school or community college, or specialized program designed for students with a learning disability. The student most likely to receive an award will be one who has participated in community and school activities, has persevered, and is striving to attain personal goals, despite having the learning disability. She must be her own advocate as a student with a learning disability, be seeking education beyond high school, and have clear and realistic goals. She must also have a real financial need. To apply, a student must provide a high school transcript, complete an application form, provide proof of his or her disability, give a financial statement, and provide three letters of recommendation. As with the Anne Ford Scholarship, information may be obtained at ncld.org. Such scholarships are designed for those with a disability and given to those who believe a career in the aviation industry can improve their lives. Those with a disability are encouraged to apply. While becoming a pilot is demanding, there are those, including the disabled, up to the challenge. Students will have to spend countless hours in learning to fly and much time in school study on the ground as well. Applicants must be committed for the long term and must have a flexible schedule. They must travel for training for five weeks, often during June or May. Applicants must have a flexible schedule that will allow travel to a training facility for up to five weeks. Those who have once been denied approval after an FAA medical exam won’t be considered until the FAA has approved them medically. This is even though one does not have to have an FAA medical exam for this program. Full Scholarships. This is for those who want a Sport Pilot license. Those who apply must prove their disability with documentation from their physician. Applicants must be able to provide proof of disability from their attending physician, be 17 or older, be United States citizens, have a driver’s license, and be physically capable of using the controls in a training air device. It is possible to apply at any time of the year. Return To Flight Scholarships. These are for those who were pilots and then became disabled. Flight Training Challenge Scholarships. This is for those who do not plan to seek a license and will benefit only if offered dual instruction. Career Training Scholarships. These scholarships are for people who want to receive an FAA-issued Repairman Certificate. This is for light aircraft and includes a maintenance rating, or an FAA Dispatcher License. Instead, the scholarship committee may allow the applicant to use the money for expenses if training for a career in education. Those applying will have to write an essay which describes how they believe the scholarship will change their lives. They will be interviewed near their home. Phone interviews will be given to semi-finalists for the Flight Training Challenge and Return To Flight scholarships. The winners will be notified. This program includes flight training, ground training and other testing, and provides money for lodging and travel expenses. Those who apply for a full scholarship will need to travel to be trained for four or five weeks. Those applying for the Flight Training Challenge or Return To Flight scholarships will have to travel to be trained for one week. The program includes a training program of 35-40 hours of flying, as well as extensive ground school study. Information may be found at ableflight.org. The American Council of the Blind (ACB), Scholarship Office, 1155 15th Street N.W., Suite 720, Washington, DC 20005, Phone: 800-424-8666. The website is www.acb.org. The American Foundation for the Blind, Information Center, 11 Penn Plaza, Suite 300, New York, NY 10001, Phone: 212-502-7661. The website is www.afb.org. The Association for Education and Rehabilitation of the Blind and Visually Impaired (AER). Information can be obtained at www.aerbvi.org. Two scholarships of $750 are given annually to those who want to serve the blind or visually impaired and who must themselves be legally blind. AER Ferrell Scholarship Fund, 4600 Duke Street, Suite 430, Alexandria, VA 22397, Phone: 703-823-9690. The website is www.aerbvi.org. The Blinded Veterans Association (BVA), Blinded Veterans Association, 477 H Street N.W. Washington, DC 20001-2694. Phone: 202-371-8880. The website is www.bva.org. The Christian Record Services, Christian Record Services, 4444 South 52nd Street, Lincoln, NE 68516. Phone number: 402-488-0981. The website is: www.christianrecord.org. The Jewish Braille Institute of America, Incorporated, The Jewish Braille Institute of America, Incorporated, 110 East 30th Street, New York, NY 10016, Telephone: 212-889-2525. The website is: www.jbilibrary.org. Lighthouse International, Lighthouse International, 111 East 59th Street, New York, NY 10022, Phone: 212-821-9428. The website is: www.lighthouseguild.org. The New Hampshire Charitable Foundation, The New Hampshire Charitable Foundation, 37 Pleasant Street, Concord, NH 03301-4005, Phone: 603-225-6641, website: nhcf.org. Recording for the Blind and Dyslexic, Recording for the Blind and Dyslexic, Scholarship Office, 20 Roszel Road, Princeton, NJ 08540, Phone: 609-452-0606, website: rfbd.org. VSA (Very Special Arts), VSA, 1300 Connecticut Avenue N.W., Suite 700, Washington, DC 20036, Phone: 800-933-8721, website: vsarts.org. Additional information may be obtained at afb.org. All of the awards are for the blind or visually impaired, but there are differences among the scholarships. Women are eligible. With some, the major qualification is a visual impairment. Some are for spouses or children of those who have served in the armed forces. Some are geared for those who want to provide educational services or rehabilitation to others who are blind or visually impaired. One is for those who plan to study Judaica. At least one is for those who want to change careers. Some are only for those who live in a certain area. One is for vocalists or instrumentalists. The National Federation for the Blind each year gives 30 scholarships of $3,000 to $12,000 to students not only in the United States, but also in Puerto Rico. Live in the District of Columbia, the United States, or Puerto Rico. Be seeking, full-time, a postsecondary degree at an institution in the United States. One exception is that award is given to someone working full-time, while attending school on a part-time basis. 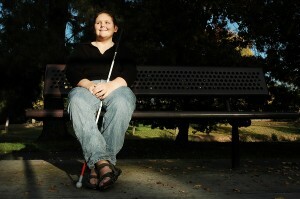 An award recipient will have to participate in the National Federation for the Blind national convention. She will also have to participation in all the activities of the scholarship program. Information and an application may be found at nfb.org. This program is offered by the Jewish Guild for the Blind for legally blind students. Students may apply at the end of their junior year in high school. If they receive an award, it will be during their senior year. A total of 12 to 16 scholarships are awarded annually. The amount given is between $12,000 to $15,000. Provide SAT and ACT scores. Give two personal statements of 500 words of personal and educational goals. Give three letters of recommendation relating to the applicants educational achievements. Information and a link to apply online are at jgb.org. George Mason University: contact the Disability Resource Center at ods.gmu.edu. George Washington University: contact Disabilities Support Services at gwired.gwu.edu. A brochure, “Financial Aid for Students with Disabilities,” may be requested. Western Michigan University: offers fellowships for disabled students. They must seek degrees in rehabilitation sciences to receive aid. Information is at wmich.edu. Gallaudet University: this college for the deaf and hearing impaired may be contacted at gallaudet.edu. Various schools offer technological support to help disabled students participate and grants for individuals. The grants may be used at many institutions for captioning equipment. Some schools have videoconferencing for disabled students. The National Association of the Deaf annually conducts a College Bowl competition at various universities and colleges. Students in teams from each school vie for scholarships and a trophy. Until recently, three schools have participated: The National Technical Institute for the Deaf at Rochester Institute of Technology (NTID/RIT) in New York; Gallaudet University in Washington, D.C.; and California State University at Northridge (CSUN). The competition was expanded to any university or college with a sizeable number of deaf students. Those who have received awards have become teachers, scientists, and lawyers. They have also become advocates for other individuals that are deaf and hard of hearing. This year from July 3-7 the first competition allowing other schools to participate will be at the 2012 NAD Conference in Louisville, Kentucky. The finals will be on July 5. Students who will participate must be full-time undergraduate students who are students at four year universities and colleges or junior college. Each school will have one team of four members. Information is available at nad.org. Awards are offered for those afflicted with dwarfism. Awards are $1,000. Information is available at www.aie.org. Your local church may be a resource. Many local churches and religious organizations offer grants or scholarships to those attending college. Many local Chambers of Commerce offer grants and scholarships, especially to those seeking a business degree. If you or your parents are members of an organization such as the Elks or a local union, money may be available for your education through that means. Sometimes the employer of your parents offers grants and scholarships. You won’t know until you ask. The local colleges or universities you plan to attend may be able to help you. Many such institutions give grants to help with the costs of an education that are more than a student and his or her parents can give from their loans, savings, and income. Some of these are merit scholarships or awards. They are based on an individual’s achievements academically. Some awards are given based on financial need. Some awards are given without consideration of financial circumstances. Some grants or scholarships even offer special privileges. Some require special obligations. You can find out about such grants and scholarships from the financial aid office of your local college or university. This grant, and any money received from a Pell Grant, may not exceed the cost of attending school. On any year in which the money available from the government is not enough to cover the normal amount granted for the number of students available, the amount granted will be reduced for each student. Be an eligible non-citizen or a United States citizen. Be attending school at least half-time. Be in the first or second year of an undergraduate program or in any certificate program of a year or more. A certificate program must be at a four-year or two-year college. A student must also be in a study program that is recognized. Qualifications could include such things as four years of English, three years of science, three years of math, including algebra and another higher level class, one year of language that is not English, and three years of social studies. A listing of educational requirements is published each year. Information may be found at studentaid.ed.gov. This grant is also called the National SMART Grant. It is only available during the third and fourth years of a student in undergraduate study (or the fifth year if she is in a five-year program). Only students who are enrolled for at least half-time and who also may receive the Federal Pell Grant may receive aid. Students must major in life, physical, or computer sciences, technology, mathematics, or a critical foreign language. An applicant has to have a grade point average of 3.0 or better in his or her major. Students receive this grant along with a Pell Grant. Students must be eligible non-citizens or United States citizens. A student can receive as much as $4,000. The amount awarded with a Pell Grant cannot be more than the total cost of attendance. Also, if there are enough students so that the amount in the program is not enough to pay each the typical amount awarded, each will receive proportionately less. Information may be obtained at studentaid.ed.gov. This is one federal grant program available not only for the general public, but also to the disabled, including disabled women. Disabled women may qualify for this if they have financial need, and the grant could be as much as $5,500, which could greatly reduce educational expenses for students. While a loan for college needs to be repaid, Pell Grants do not. Whether the student is attending school part or full time. (Full-time students receive the most, but half-time, 3/4 time, and even less than half-time students can receive money. Not many other federal programs give money to students attending less than half-time. The student’s cost of attending college. Although the program is primarily for undergraduate students, some graduate students may receive money if they are pursing teacher’s credentials. To apply for a grant, a student must complete a Free Application for Federal Student Aid (FAFSA) form. Those who complete the form may be eligible for other types of assistance. The government will forward the form to the school you want to attend, which will inform you of whether or not you receive the aid. There are a variety of grants for women seeking a degree in underrepresented fields. These are for all women who meet certain qualifications, including disabled women. Some are Federal grants. Some specifically state they will not exclude applicants because of a disability. In some cases, a particular program has representatives on various colleges. The Barry Goldwater Scholarship Grant, which is given to juniors and sophomores who are pursing a degree in mathematics or science. This is available to sophomores and juniors pursuing majors in the sciences or mathematics. Applicants need above-average GPAs. Those who plan to continue to study at a graduate field in the same field will be given preference. The Ford Foundation’s Pre-doctoral Fellowship for Minorities. This is given to students at the graduate level who are seeking a degree in engineering, science, or math, especially those interested in working with minorities and women. The National Black Nurses Association. This provides educational and professional support to African-American nurses. Students must be working and seeking a nursing degree. There are almost a dozen scholarships and grants available to students in a four-year program. Award amounts vary between $500 to $2,000 annually. The National Physical Science Consortium. The program sponsors fellowships in the physical sciences. It is designed to bring diversity. Minorities and women must study at accepted schools, and they must be enrolled in programs that are pre-doctoral to be eligible. Applicants must have a grade point average of 3.0 or better. Graduates will seek a career in geology, astronomy, computer science, math, or chemistry. Women in Engineering and Computer and Information Science Awards. Money is given by the National Science Foundation. Recipients will study science, math, computer science, or engineering. The Regent’s Healthcare Scholarship for Medicine and Dentistry. Students from the state of New York can receive grants for dental and medical school. Recipients will be women and minorities. Students must enroll in programs in New York and serve in the state after graduation for a period of time. The American Association of University Women (AAUW). This program gives special preference when giving grants to the economically disadvantaged, as well as to women returning to college after previously pursing a family or career. The Educational Foundation for Women in Accounting. Women receive money if they are seeking a master’s degree, a four-year, or a two-year degree in accounting or finance. Money is given based on merit and need. The American Society of Women Accountants. This program gives scholarships and grants to women for degrees in graduate, two-year, and four-year programs in accounting or finance. Smaller grants are given for travel and industry certifications. The Davis Program at Wellesley College. This is given to women older than traditional college age at this well-known college. Those who may apply include those who have never been to college, working women, and those going back to work. Going to college can be intimidating because of the expense and work involved. Those women who also have a disability have even more stress because of pressure and financial needs. The programs listed in this article, and others listed online and at various colleges, can help them in their educational journey. I have been diagnosed with Bipolar Disorder and ADD. I am 37 years old. I have applied at Trevecca Nazarene University as an Adult Learner to study Managerial and Human Relations. I would like to receive more information about how to apply for scholarships for disabled women or any scholarships for women. Hi my Name Merhawit Teklay i live in Ethiopia . i need scholarship any cores pleas help . I am a 45 year old physically disabled woman who has just returned to school to obtain a bachelors degree in Media Art’s and Animation. I don’t qualify for a Pell grant and student loan awards do not fully cover my tuition expenses. I am looking for any scholarships that would help me meet the gap between my student load awards and my actual costs. I am attending the Art Institute of Pittsburg-online division and am maintaining a 3.85 gpa at present. Im curious what ever happened in your situation here. What did you end up doing? Im 46 years old, disabled by 15 yo drunk driver in a stolen car. Im trying sooo hard to become not* disabled anymore. Truth is I ALWAYS WILL BE. But im not programmed to exist in this way I have been trying to adapt. I mean, 10, ooo$ under the national poverty level? I have kids and we’re all DOING WITHOUT and right now, i couldn’t possibly feel more discouraged and hopeless than right now. This is just totally depressing. Hi, I have been verbally abused by my dad, and then I married someone , that thought it was ok to hit women. I have PTSD, I have a difficult time learning, and understanding classes, so I go the disabilities office for help, and hope. I am not done with my program, and it is frustrating when I don’t have a job, and I’m trying to get help through a lawyer, for disabilities. I need help financing my education. I have been diagnosed w/learning disabilities and mental illness. I returned to school after 30 years only to find that the financial aid office is holding my transcript against me. I screwed up made a mess of everything an did not make what they call academic progress. I found a career path that I have a natural talent for in Recreational Therapy. But because of the still academic requirements the financial aid office is requiring from me (3.0) my student loans are in jeopardy at the end of this semester. I cannot afford the tuition myself. I am on SSI. can anybody help me! I have a scheduled A disability, but I do not draw any form of income. I have a BA in Psychology (3.95 GPA) and am a Substance Abuse Professional Internist in Indiana. I want to work with our American Veterans. I need a scholarship for my Nursing Degree to care for our American Veterans and support my family. I have over 20 years experience working as a Certified Nursing Assistant. Our country has a shortage of Nurses! Please help me help others. I can take the Accelerated BSN Degree and have my BSN in 16 months, but I need a scholarship. I would be able to help so many with a BSN, support myself/family, and use my BA in psychology and substance abuse to help our American Veterans deal with the many medical/mental issues they face after serving their country! I have not been able to find a job with all I have accomplished, but a BSN would allow me to be employed, help our Veterans, and pay my student loans. I was a teacher until I was injured and had to apply for disability benefits. I cannot survive on disability benefits. There is no assistance for housing in 2015. I would crawl to a job if I could make enough money to survive in the USA. It is impossible to be a single woman and live disability in 2015. I struggle with Multiple Sclerosis and had to apply for disability benefits. This is not my dream nor my desire. I desire to obtain a bachelors degree in liberal arts and continue to grad school to become a counselor. I need financial help obtaining my goals. I worked as a Customer Service Rep., Data Entry Clerk and Accounting Clerk for over 20 years. Currently, I attend University of Missouri Kansas City with a 3.4 gpa. Please help me reach my goal to work in counseling where I can help someone else that is struggling with life. My name is Emily Sandberg, three months ago I was diagnosed with Multiple Sclerosis. I have an aggressive relapse remitting type. Before I work in memory care to help pay for schooling. Now I am unable to work because of my decreased strength and I fatigue easily. My dream job is to become an Occupational Therapist. I am in the program and only have a year and a half to go and I am out of money to afford my schooling. Am a woman with disability from Kenya walking on two crutches.I would like to get full scholarship to study a subject related to motivational speaking.Please advise. im a wheelchair user living in Pakistan want to do my PHD in special education .please help me how i can get a scholarship for this. My name is Tracy Parker. I have been diagnosed with depression and anxiety. I’m legally blind in my right eye. I was on dialysis for 15years. I had a kidney transplant February 19,2012. I’ve suffered 3 strokes. I was put on the ventilator July4.2009. I’m needing aid to help me purchase a labtop,books,eyeglasses,clothes,shoes and transportation. I am never going to “make it” i can’t even affford groceries for my family and We are HUNGRY. My name is Vickery, I have been diagnosed with ADHD, I am currently seeking grants and fellowships that will allow me to complete a Ph.D.